Children like vegetables. There, I've said it. In fact, I believe that children like vegetables a lot. Adults, less so, and I think it's probably because we have eaten our fair share of poorly prepared and not so celebrated vegetables. They are a sidekick, and rarely the lead act. Overcooked and soggy. Out of season, watery and flavourless. Children like their peas, corn, broccoli, carrot, potato, sweet potato and if you ask Baby Green he'd happily add spinach, avocado, tomato, zucchini, kale, red peppers and olives. 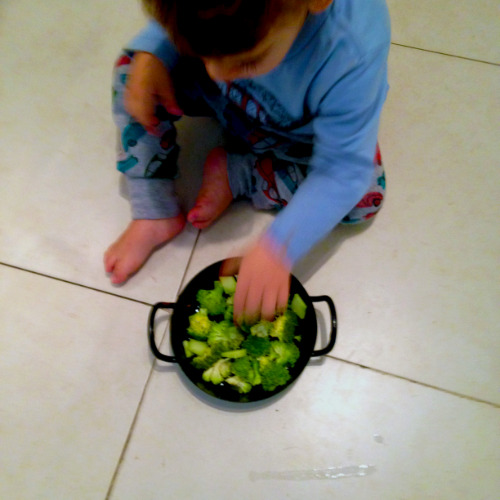 Children are more forgiving when it comes to veg, but you have to introduce them while they are young. Like languages, flavours and tastes are best practiced as early as possible. If you are fortunate enough to be pregnant, introduce the flavours to them then. Taste is acquired, not inherent. I realise that not all of the foods just mentioned are strictly speaking vegetables, but in my common parlance all plant-based foods can be used as vegetables (for more on that, please see the Get Cooking post). I am going to add legumes to the veg spectrum because I like to add a whole grain, seed, or pseudo grain to make them more filling, satisfying and nutritious. Vegetables are cheap and when frozen are nutritious, easy to store, access and prepare. From the simple purees when weaning a baby onto solids to the heartier and more textured stews, sauces and finger foods, vegetables are a staple, and a must for children and adults alike. Put effort and love into preparing your child's meals and you too will begin to rekindle your love affair with the humble and delicious. Food is sensual and when introducing your child to food, it should also be exciting to look at, and what can be more exciting than the vibrant colours of vegetables. Unfortunately overcooking veg dulls their vitality, and alters their taste and texture. What we eat and why has many dimensions, among them are pigments, flavour and health. The social dimension is one that should evolve from the things we love, and not from external presumptions and acceptances, but more on that another time. Take care when preparing your veg, be thoughtful with the temperature and duration of cooking. Some foods are better left as they are, others benefit from a little heat, blending, fermenting and/or grating.